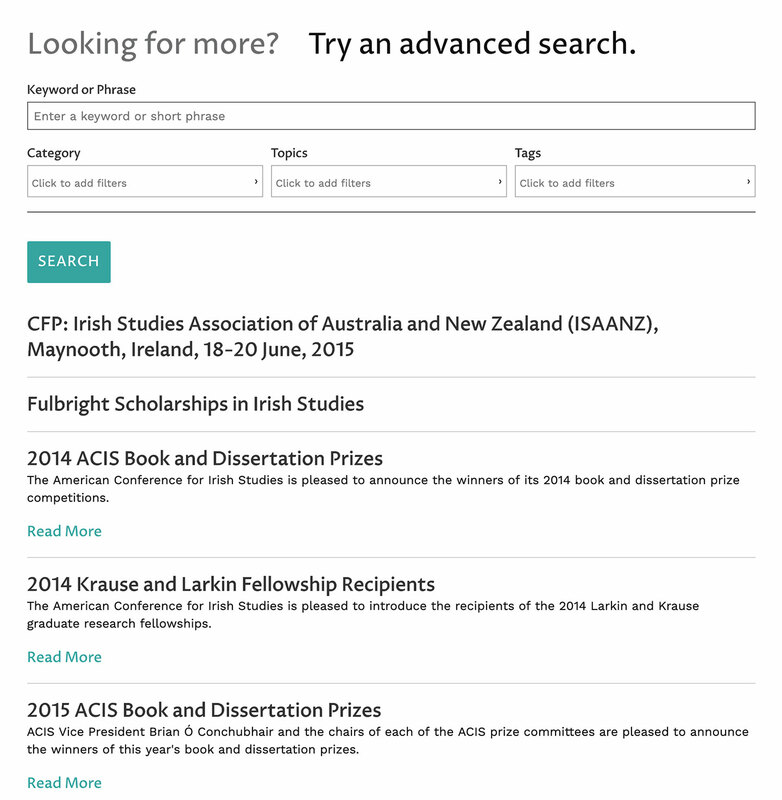 The American Conference for Irish Studies is a multidisciplinary scholarly organization with approximately 800 members in the United States, Ireland, Canada, and other countries around the world. Working together with ACIS managing leadership, we entirely redesigned and rebuilt their content-rich website. 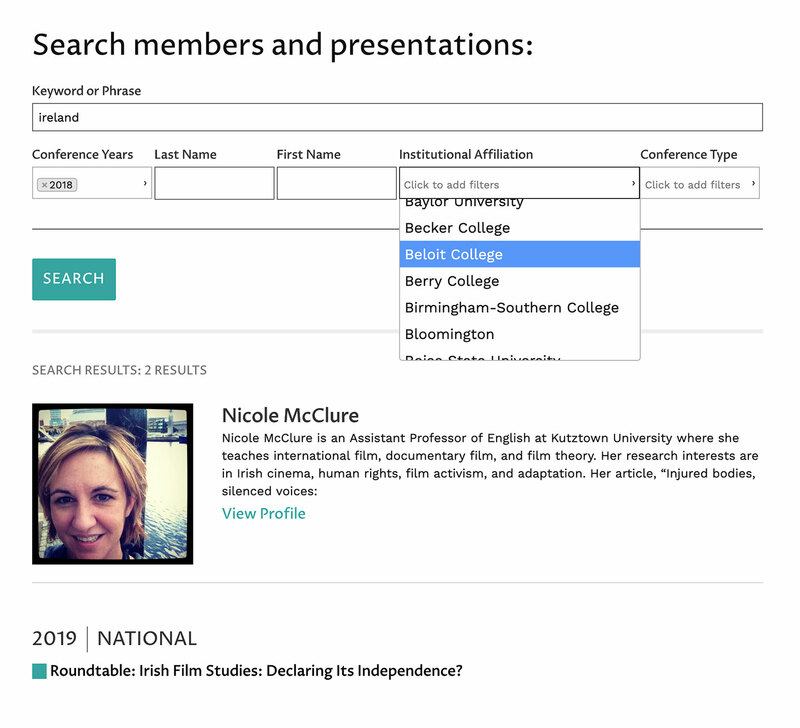 With special attention given toward organization members, we tied together conference archives, presenters, presentation, and a host of other resources. Using advanced search and filtering modules and search results based on originating search, we were able to collate resources and display various results according to their preferred use case. 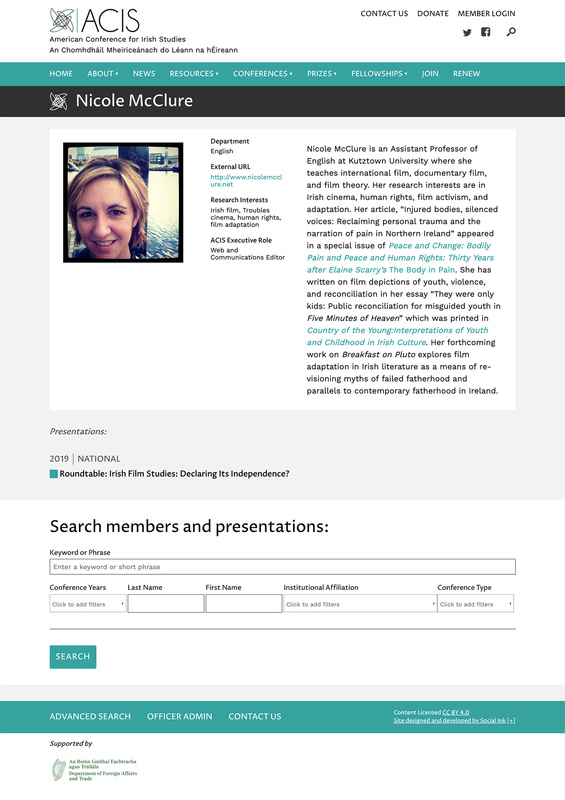 This work as made possible through a deep dive into the ACIS information architecture, in order to sift, sort, and categorize different content types, taxonomies, and metadata. In addition to automated content feeds and flexible blocks for modular page creation, we worked with the Wild Orchid CRM in order to integrate membership sync between databases.